In what is likely no mistake by Google, my Google Now feed offered up an article from a blog I didn’t know existed until this morning. That blog’s name? Andreas Gal. As in Andreas Gal, former Mozilla CTO. The blog’s title? 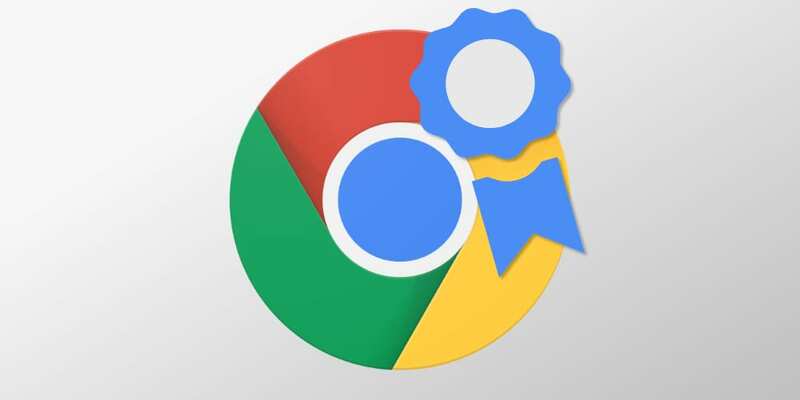 Depending on the news sources you frequent, you may or may not know how prolific Chrome has become in terms of market share. Is it the browser to end all browsers? Perfect? Without issue? No, it is not. It is, however, the most-used browser across operating systems by a pretty wide margin. You can see in the chart below from Andreas’ post that Chrome’s lead across all devices is substantial and only growing as time marches on. This chart simply shows market share across all devices since 2011. It isn’t hard to see Chrome has pulled away from the pack. You can see some of the deeper facts about these stats over at the original post, but I want to talk a bit about the significance of this post. This is obvious, but company leaders have deep knowledge (most times) of their field. Its the only way you make it to a place with a title like CTO or CEO. You have to know some things. Being the CTO of Mozilla (the company behind Firefox), Andreas Gal not only knows the business of browsers, he likely understands trends with consumers on a level most of us haven’t really thought about. That’s what happens when you spend years as a CTO. You analyze and move based on users and their activities. While at Mozilla, there’s no way he could have ever publicly made these comments. Imagine Microsoft’s CTO saying that IE is basically dead and Chrome has won this part of the war. It is true and we all know it, but he can’t say that for obvious reasons. Andreas Gal couldn’t, either. At least not until he left a couple years ago. But now, a bit separated from the business of browsers, he can voice what he truly sees in the trends presented. He can weigh in, using his expertise and knowledge without needing a filter. With no provocation or agenda, he can lay out the facts as he sees them. And the facts are: Chrome won. Not Chrome is winning or Chrome will win. Chrome won. Game over. No turning back. Like it or hate it, Chrome is here to stay. The combination of new features, continuing development, and interoperability across almost all devices (looking at you, Windows 10 S), Chrome has permeated all things internet-connected. That same deep influence will continue to drive the growth of Chromebooks, too. As trends keep pushing forward and more tasks are handled via browser on the web, Chrome OS continues to gain relevance. Look at Gabriel’s post from yesterday. Google is confident and behind Chrome OS. As the internet in general continues to evolve and grow in its abilities, Chrome will likely remain the vehicle people use to navigate it. As Chrome’s flight pattern continues upward, it brings Chrome OS right along for that ride.